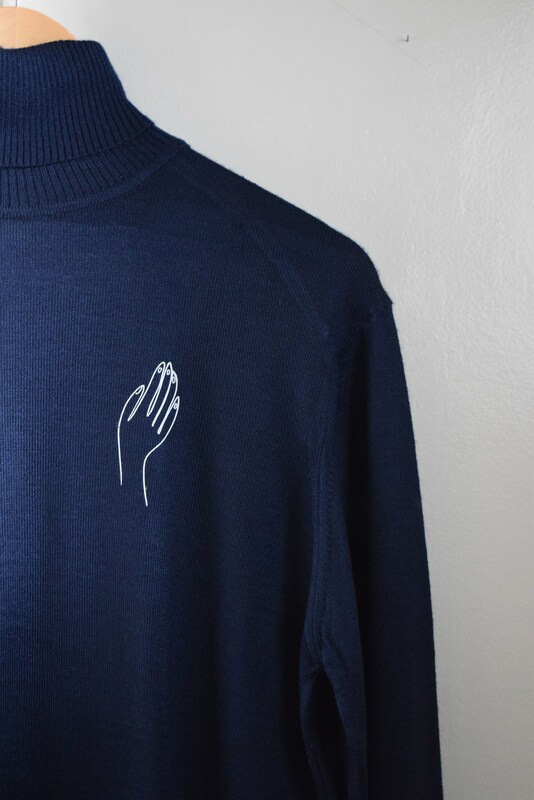 Paloma handprint small in white on the left breast side of a thin wool blend navy blue knit. 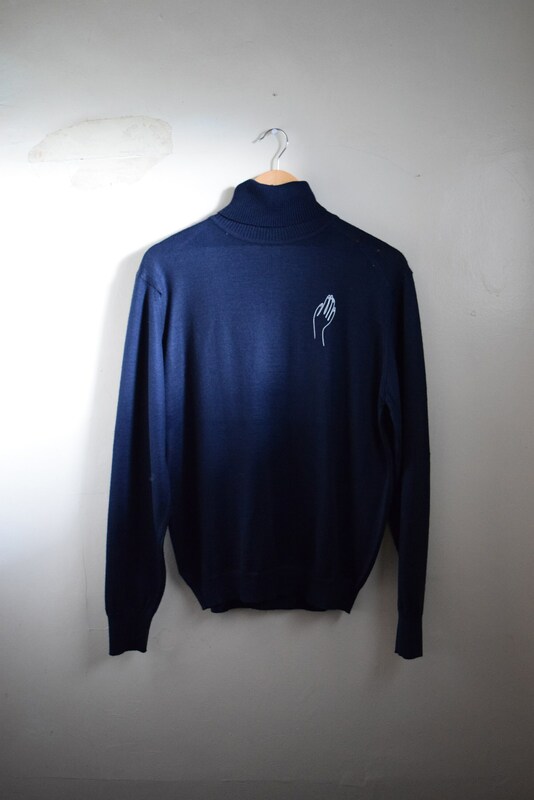 Turtleneck neckline, with ribbed finish on cuffs and hips. Has two small holes on left shoulder and one in the hips ribbing that have been mended. Shoulder width 19" // Sleeve length 26" // Bust 41"
Hip 30-39" // Length from back of neck 26"